I have just got my sticky mitts on the very first copy of my new novel Beneath, so I’m very excited. No matter how many times you have revised and edited the text, your words still somehow look quite different when they become part of a real, live book. It’s as if they don’t really belong to you anymore and I don’t suppose they do. From now on, they belong to you, the reader. 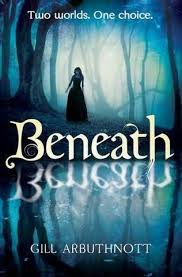 Beneath is one of 4 titles launching Floris Books new imprint Teen Kelpies. The others are The Daemon Parallel and The Werewolf Parallel by Roy Gill, and Mind Blind by Lari Don. If you’d like a sneak preview, you can download a free ebook sampler for your kindle here. 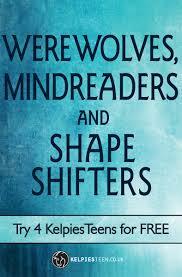 If you like to listen to music as you read, you can check out the Teen Kelpies website for the Spotify playlists for each book. Listen to the songs that I plugged myself into as I was writing the book! « Whatever Happened to the Western? Many many congratulations on this book birthday!